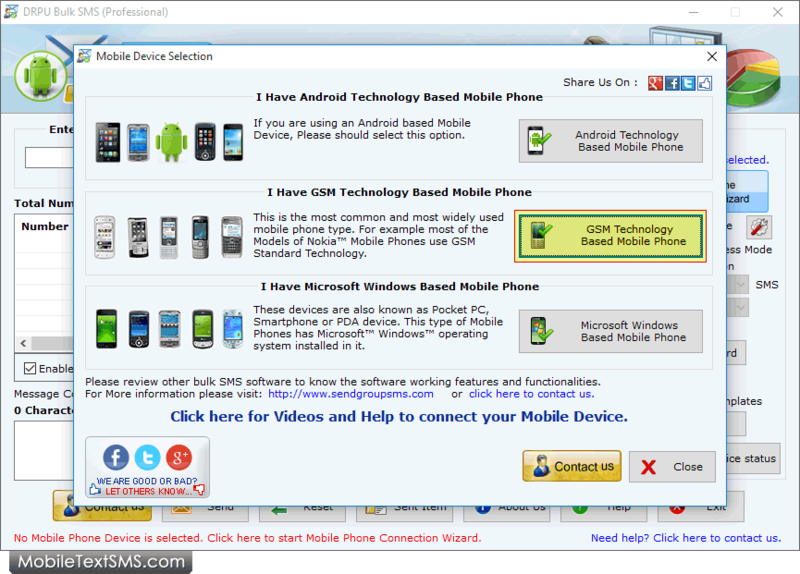 Select mobile device type among GSM, Android and Windows. Here, we have selected 'GSM Technology Based Mobile Phone'. 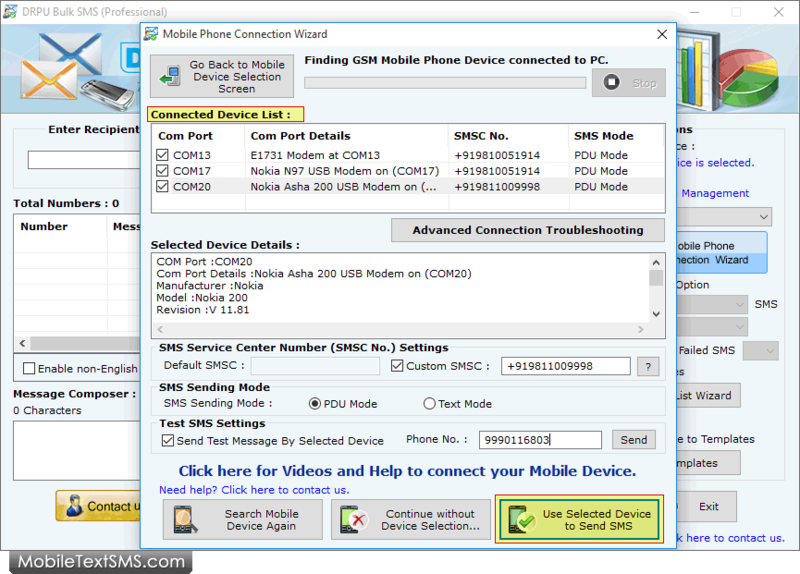 Wizard shows connected device list, select particular COM Port to view corresponding device details including COM Port, Manufacturer, Model etc. Now tap 'Use Selected Device to Send SMS' button. Click on “Load Contacts From File” to load contact numbers. Type message, which you want to send. You can select 'Delayed Delivery', 'Use Exclusion Rules', 'Save Sent Items' and other options. 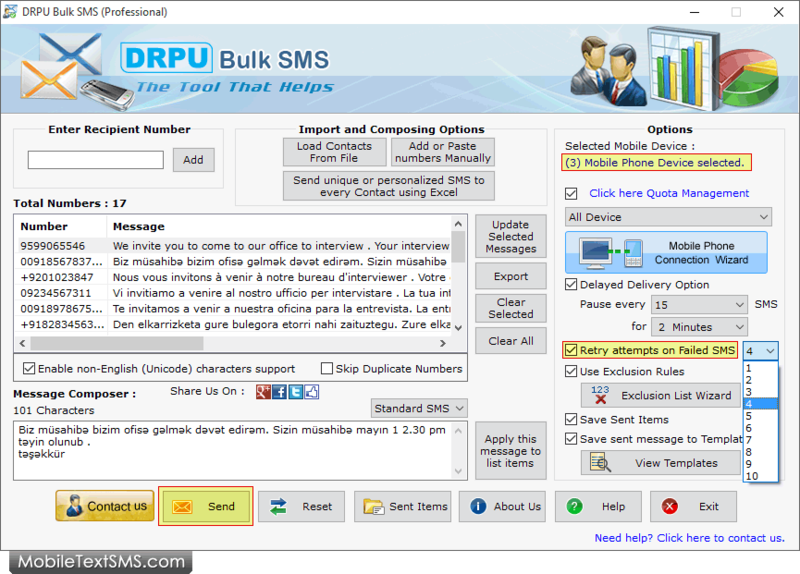 Click "Send" button to send sms. 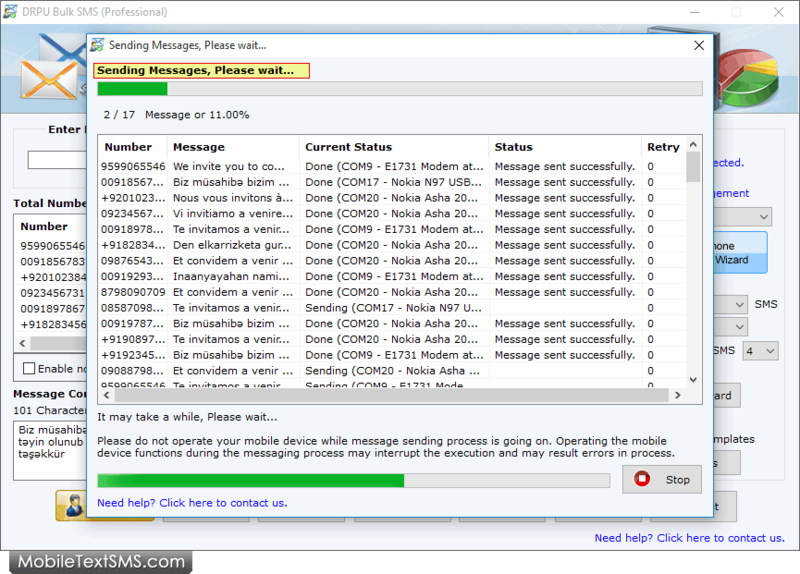 Message sending process is going on.